Leamington Juniors Colts were formed from a group of boys who were trained by Richard Poulson and Rob Archer at Leamington Juniors Minis. 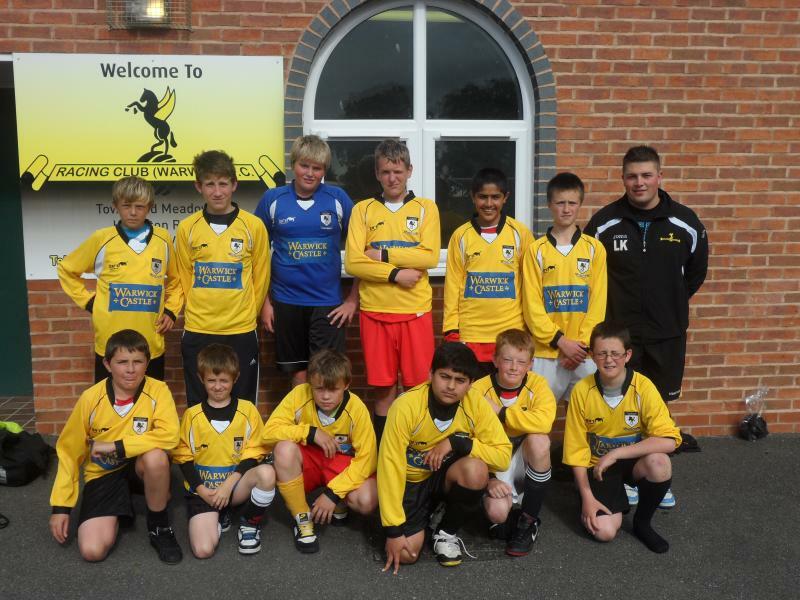 The groups of boys got too big for one team (Leamington Juniors) so Leamington Juniors Colts were formed. I was reluctant to commit to being a manager at first as I feared the level of commitment required, but it’s been one of the best decisions I ever made. Thankfully I have a great set of coaches, parents, and perhaps more importantly, kids who want to be part of a team and enjoy playing and learning the game of football. Like many teams, myself and the guys who help coach are parents who have a keen interest in the game. We are also like minded in how we think the players should behave during training and matches and how they should play the game. We try as hard as we can to make training sessions and match experiences fun, which hopefully keeps the kids engaged in playing football and wanting to develop their own skills. We aim to promote a strong team bond and provide many opportunities for the kids to get together and enjoy themselves away from training and matches. We have been ten pin bowling, tried other sports, and been on trips to watch professional football matches as well as visit the English FA Headquarters at St Georges Park. One of my hates in the game is long ball football and we see so many managers at grassroots football encouraging this style in order to win a match. This teaches the boys nothing other than allowing them to watch a ball fly over their heads and perhaps revel in a short lived victory. In terms of matches we emphasise every week that as much as we would all like to win, the actual result is unimportant, and to see the players show desire to play, desire to help the team, and desire to be the best they can is the real measure of success. We continue to rotate players of differing ability and we also ensure that players get opportunities to show what they can do in different positions. They will always make mistakes and they will learn from them as long as they are not criticised for trying to do the right thing. To be honest, most of the kids are very competitive and are desperate to win so our job is really to balance out their emotions so they can deal with either, continue to find a positive experience in the game, and come back ready to try and improve. It is a difficult balance however, kids develop at different paces and some are far more advanced naturally than others. We tend to feel the need to work with the less developed players but that’s not fair on those that need more advanced coaching to improve. It’s a difficult challenge keeping both ends of the spectrum happy, but I think its mega important because being involved in a sports team brings some incredibly valuable life skills in my opinion. The players in our squad continue to amaze us at what they can do, and even when we think they are up against a significant challenge they have the confidence, sense of spirit and teamwork, and ability to overcome most things which is pretty incredible to watch. Currently playing in Division 2 of the Mid Warwickshire Boys League. The team was formed primari﻿ly for ﻿local kids to experience the excitement of playing organised League football. Like most teams of this age group, we have kids of vastly differing abilities and experience. What we try to encourage is that they all retain the same desire to improve. The most important res﻿po﻿nsibility of the coaches at this level, is to continue to push for improvement regardless of natural ability. It is also vital that we persevere with showing them the right way to play the game, both technically as well as morally and not trying to find a method of winning and abandoning technique. Physical/long ball tactics at this age serves no purpose in the long run, as at some stage all kids will develop physically and then they will need something more than strength and speed to progress to the next level. As a famous manager once said "If God had wanted us to play football in the clouds, he would have put grass up there". We currently train on Thursday nights, if interested please contact me on 07711 350970. One of the most famous sayings in sport; and how true it is. Whether an elite athlete or aspiring amateur, the more you are willing to put into your craft, the more “lucky” things seem to come your way. Can practice really make perfect? 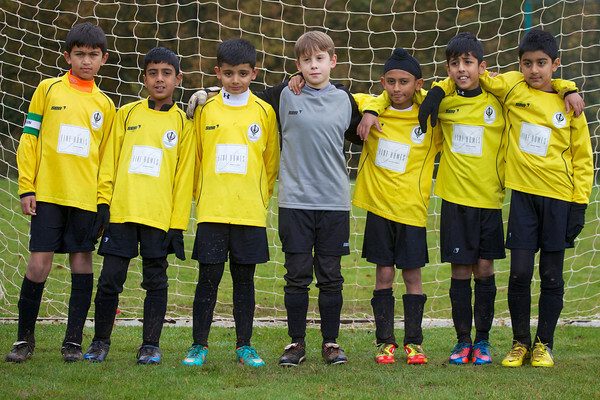 Take our recently formed Leamington Khalsa Under 8’s team as an example, and you would be hard pushed not to agree. Although the team has been playing in a league format for less than 12 months, some of the players have actually been training together for close to 3 years. And at 7 and 8 years old, that’s pretty impressive. Coached by Joogy, Gin Bhandal and Anthony Autwal, the Under 8’s side have shown wisdom beyond their years at times in their first season. Our aim with this side (and this should be the aim of any football team) is to develop players into footballers and not athletes. We’re not interested in how tall they are, how fast they can run, how far they can kick. Ask any one of the players about “switching the play”, “going short” or “dropping off” and they’ll give you a quicker answer than most adults can. The philosophy of the side has been to develop well rounded footballers that can play in any position who have the attitude and belief to succeed. This mentality can be taken into all aspects of their life, be it sports or education. The encouraging thing we find as we work with this group of players is their desire to play good football. You can have the best coaches in the world, but if the players cannot take what they say on board, it’s a useless exercise. Thankfully, we are privileged to be working with a group of lads that can see how football should be played, and take enjoyment from it. After all, the fun factor should never go away. It’s by no means an easy mentality to embed in youngsters, but if they’re willing, it’s a joy to see when it clicks in their minds. So what should the coming months and next season hold for our Under 8’s? This summer should be one centered on training as they aim to carry on developing their understanding of the game but more importantly developing their technique.They should not be fearful of making mistakes because that is a natural learning curve and the best way to learn. As we move into a competitive league for the first time next season, we will not focus on win at any costs but instead winning the right way playing good football. We will learn more from our losses than our wins. And if the lads continue this level of development, the results will follow themselves. Now, it’s about focusing on playing football the way the beautiful game was intended to be played. 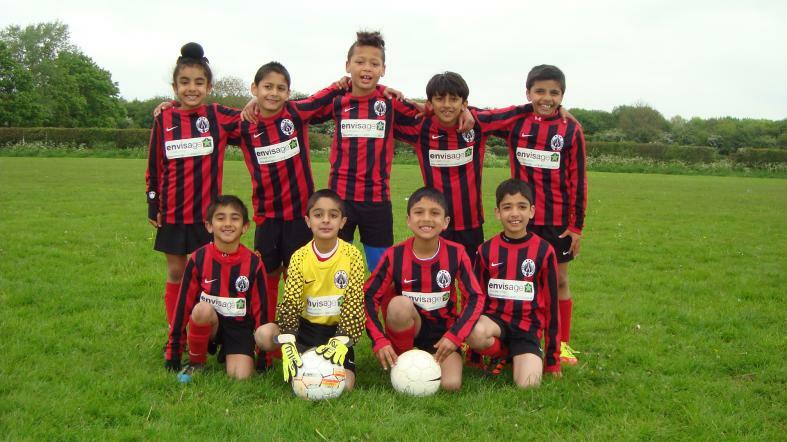 Leamington Khalsa U9s are a brand new team playing in the ‘Red’ league in the Mid Warwickshire boys football league. We have 10 players all very enthusiastic and committed. We have some that have played competitive football and some that are brand new to the game. We are also very lucky to have players from different backgrounds and different personalities and it’s great to see how they all interact and learn from each other and create a great and positive team spirit, which is essential for success both on and off the pitch. Our coaching team is made up of 3 keen and fully qualified dads including a UEFA B licence coach (Jet). Our mission is incredibly simple - 10 happy kids who can all play football, the focus is on enjoyment and development. Our vision is to build a passing team - believe me this is far easier said than done, however we are committed to this goal. We also try and ensure that we produce complete footballers by encouraging players to be able to play in all positions. Do 9 years olds listen? The mission here is not to play with their heads down, not to run into trouble and not to give the ball away easily, which at this age group is both common and widespread. Also our next major challenge is to get players to play with both feet – we firmly believe this is one thing that will truly develop a player. Getting good with one foot is good and it is hard when you shoot with your weaker foot and you missthe ball entirely or get weak contact or miss the target etc – but this will pay dividends in the long term. Formations and positions in mini soccer at under 9 level is not easy to teach at all. When we first started we would all follow the ball, be out of position constantly, have a discussion about who should take the throws ins, who could take the corners etc. The well established teams that we were up against were very good in this respect and thankfully we are much better now. We try and encourage players to use the full width of the pitch when attacking and to adopt a compact shape when defending, and also not to be afraid to take on players one on one - so long as you learn from it. we have to cope with uneven sloping pitches, waterlogged playing areas and even great big puddles within the goalmouth sections and freezing temperatures. This was another challenge for us, some players were very affected with loads of mud on their boots, not wanting to touch the ball on a throw in as their gloves would get dirty, but again this is where a good coach can encourage a player positively to always train and play to the best of their ability. The under 9s are great bunch to be around we have loads of noisy characters as well a quiet ones. However communication is another area of focus for us and we tell the players that “the best teams work together and always help each other, win together or lose together. Being a strong unit and winning is enjoyable but playing and competing is what all Leamington Khalsa is about – wear that yellow shirt with pride and successis just around the corner”. GNP Sports Football Club is one of the biggest Asian football clubs in the UK, established almost 30 years ago in Coventry, and has a track record for developing the footballing skills of Coventry youngsters from all backgrounds. In recent years the club's Youth Academy have developed strong links with Coventry City Football Club, and have been offering children. Structured weekly football coaching with CCFC coaches from the ages of 4/5 up to 7, as an entry level to Mini-Soccer. 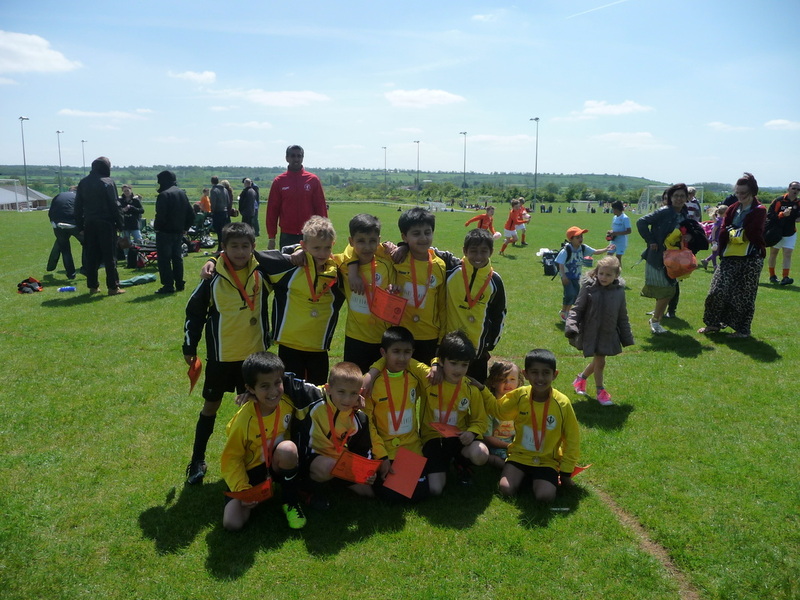 GNP's current Under 8 Tigers squad is made up predominantly of children who have come through this development system and therefore have been playing football together for 2-3 years. The benefits of this have been seen over the past 12 months as the Tigers have just completed their first full season together, and what a successful year it has been! 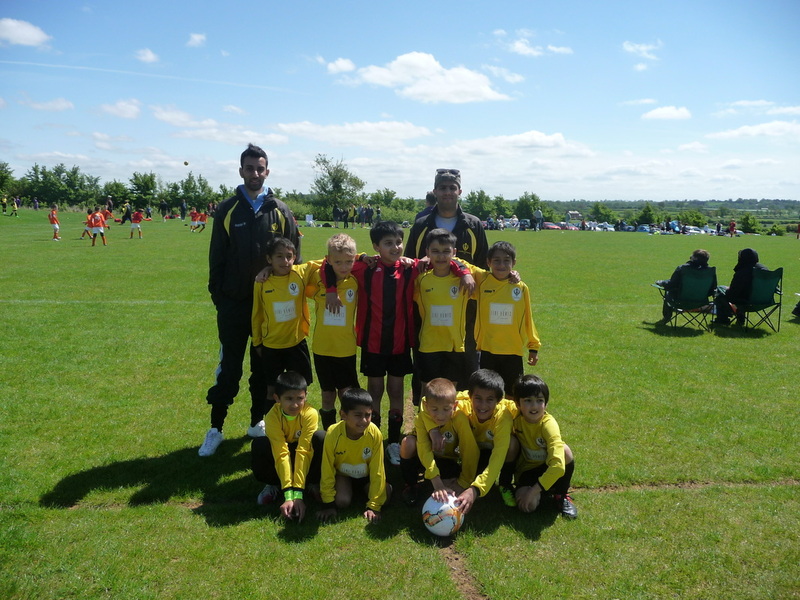 The team is coached by Jat Grewal, an enthusiastic dad who decided to channel his love of the game, by taking his FA coaching badges in Oct 2010, and then took over his son's team in March 2011, transitioning the group from the Academy to outdoor training in preparation for their first season in the John Bryan Coventry Minor League. Jat entered the team into various summer tournaments across Warwickshire in 2011, an excellent way of integrating them into friendly football matches, and the team showed themselves to be a skilful and ultra-competitive group of boys, performing admirably against some teams that had already been together playing "friendly league football for 12 months. After a tough start to their first league campaign in Sep 2011, GNP Tigers earned their first league win on 1 Oct, which triggered a phenomenal 9-game winning streak leading up to the winter break (47 goals for, 6 goals against!). This included some fine footballing performances, building on their coaching sessions which are focused on controlled, passing football, with a heavy emphasis on 2 and 3-touch practice games, and rotation of playing positions. The Coventry League use the U8 season as a grading year, to determine which division each team should play in the following year at U9 level. At Christmas they decided GNP Tigers' excellent form deserved an elevation to the Godiva League for the remainder of the 2011-12 season, meaning the boys would be facing the cream of talent from Coventry and Warwickshire. Despite being on the end of a couple of heavy defeats, the Tigers continued to enjoy their football and performed superbly, losing only 3 of 12 matches, and finishing the season on a real high with the final 5 games unbeaten, surely doing enough to justify A Division football next season. This success has also been recognised with 2 of the squad invited to trials with Coventry City & Leicester City Academies during the season. 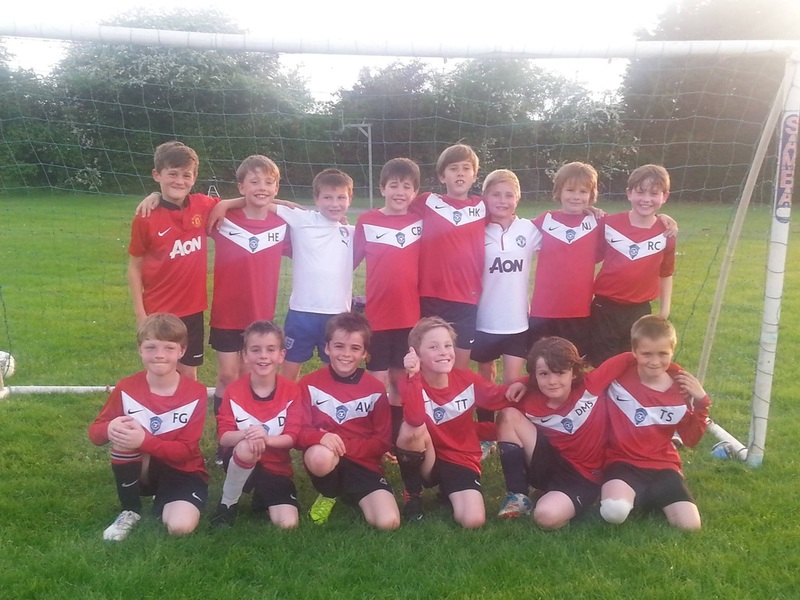 All-in-all it has been a fantastic start to the footballing stories of this enthusiastic group of boys, and Jat is very keen that the kids continue to strive to the highest possible standards as they move into the world of competitive football. He believes strongly that continued success will attract the best of Asian talent in the area to GNP Sports, and has a vision that this group of kids will form the nucleus of a team that will grow and develop over the next decade & represent GNP Sports at the highest level for many years to come. There are many Asian clubs throughout the country where young lads get coached on a regular basis each week by no doubt very good coaches and parents alike. The difference at GGNP in Coventry is that their Under 11's team has hit the jackpot by being trained by someone who is more than equipped to train at the highest level in the game. obtaining his UEFA 'A' license. However he refuses to let go of his roots in football and continues to work with Asian players by providing his expertise to the lucky few who train with him. 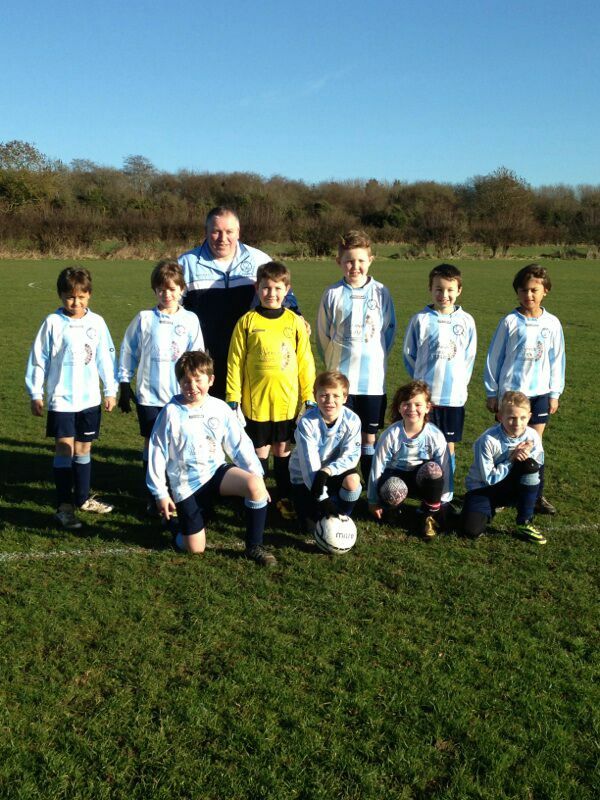 The team started at U10's and this is their first season at 11 aside. Pete says his goal or ambition is to develop this team over the next 2 years to bring in the best of the best Asian players in this age group from the Coventry and Warwickshire area. He wants to build a team of excellence to play at the highest standard, so that he and his team can send a strong message: "We can play football and we are good enough to compete at the highest level!" Pete says "With my coaching badges, I feel I have the experience and tools to make this happen." If you require further information on this please contact Pete on the email below. The team train at Bluecoats school 7pm - 8pm (outdoor) on Tuesdays. Any young boy with ambitions to become a footballer needs to be aiming to play at the highest possible level. But it isn't an absolute necessity that a child has to play for an academy to make it as a footballer. The chances are your local junior league will be very well run and the football will be of a very high standard. Most of the teams in these leagues are always on the lookout for youngsters with ability. If your child has ability, you as a parent should do all you can to help your child flourish. By joining one of the many junior sides out there you will be giving your child the chance to get the advice that will allow them to develop. Mentoring from skilled coaches will allow them to flourish, become disciplined and tactically aware. One of Leamington’s most reputable youth set up's, with a strong tradition of developing a long line of good prospects, is that at Leamington Khalsa Junior Football Club. 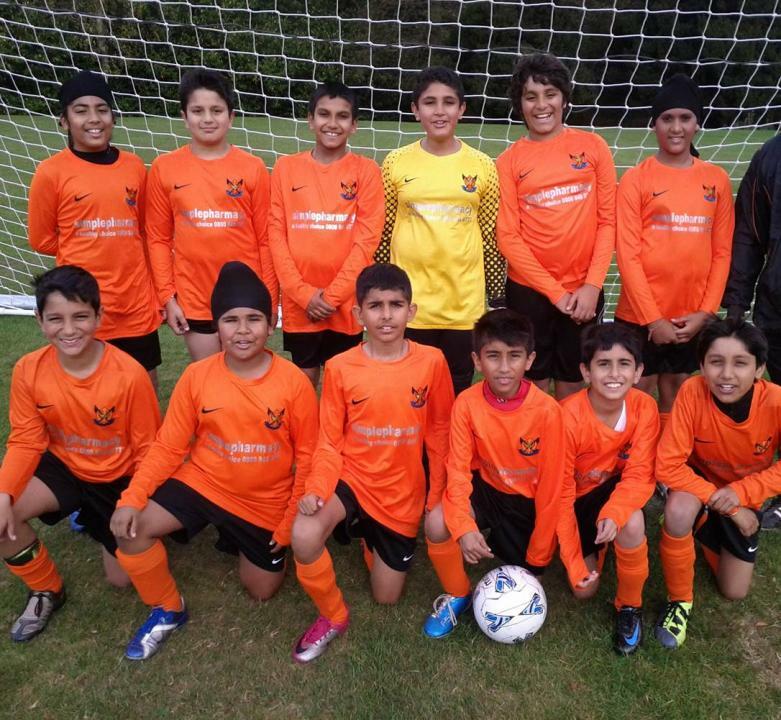 In the first of our features on youth football we look at Leamington Khalsa Junior's under 16's from the 2009/10 season. Starting out under the guidance of Jas Sohal and Jas Pangli the team won the under 8's league, following on two years later by winning the under 10's league cup. After three more seasons of transition a recognised coach, Babb’s Khandola was introduced to the set up. The technical know how and disciplined approach that Babb’s introduced to the club started to pay instant dividends. The levels of enthusiasm and an eagerness to learn was evident amongst the players. The club took things to a new level when he managed to acquire the services of former Coventry star, David Phillips. Phillips coached the kids one night a week for two years. The players became physically and mentally stronger, the results spoke for themselves. The under 15's and 16's remained unbeaten for two seasons, winning all manner of trophies on the way. Colin Okirie spent two years with Coventry City Academy. Sukhraj Heer has had trials with both Coventry and Tottenham. Ash Narwal has had trials with West Brom and Tottenham. Ash, Colin and Sukhraj have all made the seamless transformation into senior football and currently play at Stratford Town and Racing Club Warwick, two highly respected clubs in the area. It just goes to show what a child can achieve with the right coaching. If you live in the Leamington area and your child has ability take him along to Khalsa, let them nurture that ability and turn him into a footballer. Bob Singh Dhillon - Successful Warwick businessman was asked to save a fallen giant Racing Club Warwick FC in August 2010 from closing. First stage of the plan formulated by the chairman was to have 3 senior teams (1st team, reserves and a Youth team). Second Stage was the plan to create a Racing Club Warwick Junior section with the setup of the first U14 team in twenty years. They would play on the racecourse pitches behind the main ground with the full use of the clubhouse facilities including a meal for the children after the match. The club colours would be gold and black, distinct from all other local clubs with the logo of Warwick Castle as the team sponsors. It was agreed they should go ahead and the team was formed and Bob Dhillon became founder President of the Junior section. Under his guidance Racing Club Juniors U14 have flourished. The first fixture took place in September 2011 and the teams current position being second in the league is a remarkable achievement in such a short space of time. The Club is looking to start U15 & U16 teams in 2012 with more teams being introduced at the younger end of the age spectrum and this has also begun with the introduction of the Mini Racers which started in 2011 by Phil Haycock. The coaching staff and officials of Racing Club Warwick FC understand that children participate in football to have fun. If children don’t have fun playing football, they will soon stop. We never forget that the game of football is just that - a game. It is not about how many wins are accumulated. It is not about how many trophies are collected. It is not about how many goals we score or concede. It is all about enjoying the game and at the same time learning and developing football and life skills. It’s about receiving equal playing time, so the players are all given an equal opportunity to learn. Racing Club Warwick Juniors, Townsend Meadows, Hampton Road, Warwick, CV34 6JP.